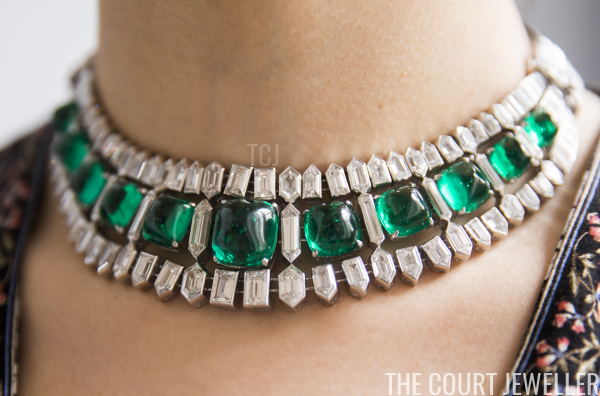 As the upcoming magnificent jewelry sale at Sotheby's approaches, we've got the scoop on one of the most important piececs in the auction: the Beaumont Emerald Art Deco Necklace. 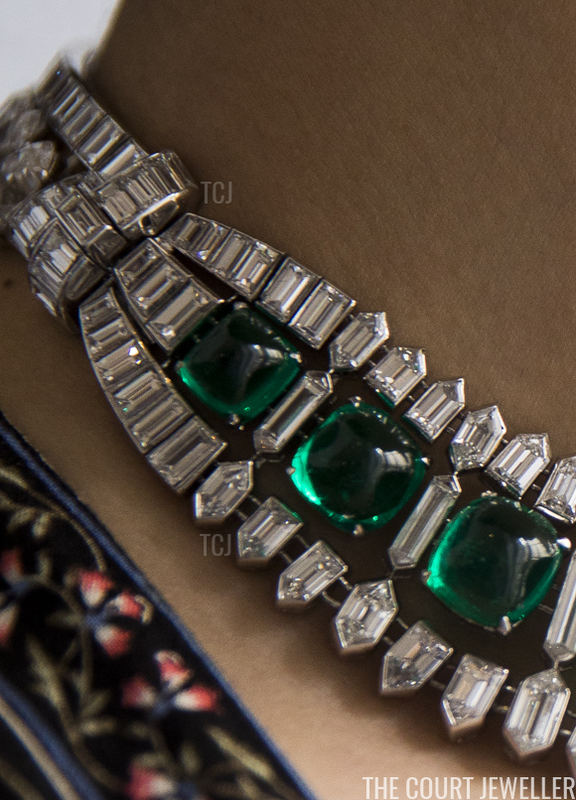 Like so many grand jewels, the necklace was first owned by a wealthy socialite. Helene Beaumont was the second wife of Louis Dudley Beaumont, one of the founders of the May Company, one of the largest twentieth-century department store chains in the United States. Born Louis Shoenberg in 1857 in Dayton, Ohio, he was nicknamed "Commodore" because of his life-long passion for yachting. After retiring from the company in 1912, he moved to France, where he sailed yachts, flew planes, and changed his surname from Shoenberg to Beaumont. Louis's first wife, Flora Rothschild, died in 1891. (Their son, Dudley, passed away in 1910.) Decades later, in 1926, Louis married Helene Marguerite Thomas, an Australian-born opera singer, in London. They settled in a grand villa on the French Riviera after their wedding, filling it with gorgeous art and jewelry together until Louis's death at the age of 85 in 1942. His legacy lives on, however, in the numerous charitable initiatives and endowments established by the May Company after his death (especially in my hometown of St. Louis!). 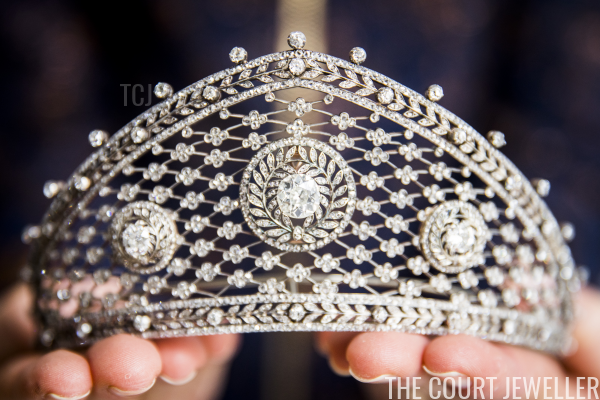 Helene died in 1988, and six years later, a major auction of her magnificent jewelry was held at Sotheby's in Geneva. 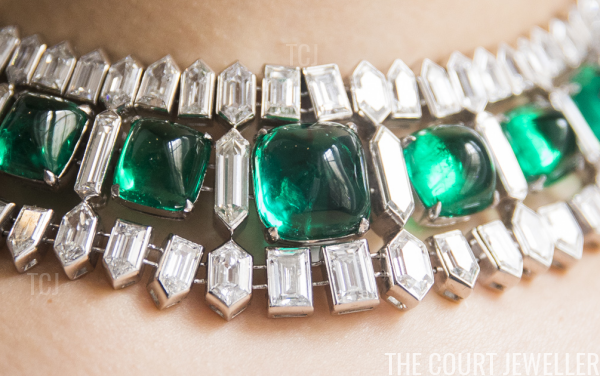 This emerald necklace was one of the stars of the sale. Now, the necklace is going on the block once more. Sotheby's describes it as "set with a line of graduated sugarloaf cabochon emeralds of truly exceptional quality ... alternating with hexagonal-shaped diamonds, framed with similarly cut, dart-shaped and baguette diamonds." 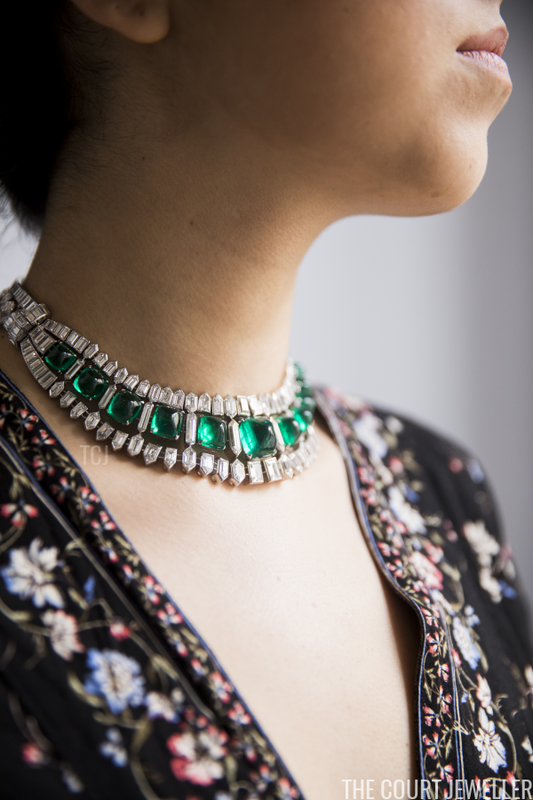 The softness of the Colombian cabochon emeralds, combined with the sharp glitter of the diamonds, gives the necklace a fascinating dual personality. And, even better, the piece is convertible. The all-diamond sections at the back of the necklace can be detached and worn with another diamond bracelet (also sold in 1994, but not included in this auction), while the remaining diamond and emerald section can be worn separately as a bracelet. 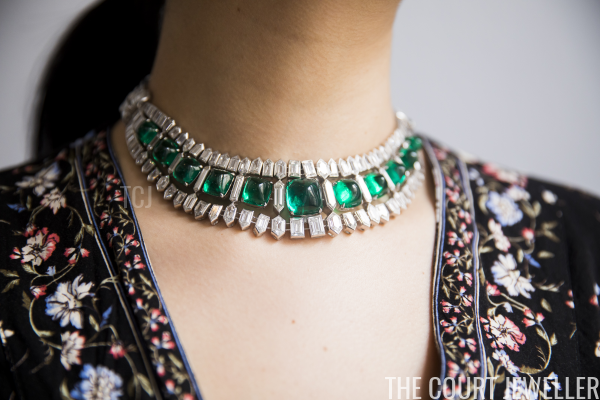 The piece, made around 1935, was probably made by one of Helene's favorite jewelers, Van Cleef and Arpels. 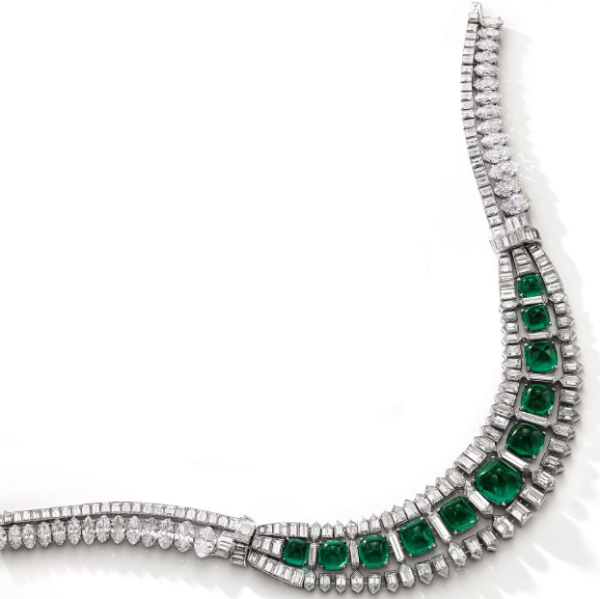 (Helene's collection also contained a matching emerald and diamond bracelet by Van Cleef and Arpels.) It's a magnificent example of the Art Deco style of the period, and it would have looked right at home on a stylish socialite in on the Riviera in the '30s.